For online players that were watching cult movies in the early part of the 1980s, the theme and the concept behind Fantasy Mission Force SlotoCash slots will immediately be obvious. 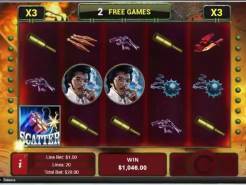 This is one of the newest of the Realtime Gaming slots that uses the theme from a popular movie of the same title. The movie features a very young Jackie Chan, who also makes an appearance on the reels as well as the video introduction to the slot. What will keep players coming back to play this game are the wild, scatter, free spin and multiplier features that are included. This is a five reel, 20 adjustable payline slot. Players can choose their wager amount from low to high and also choose the number of lines to play from one to twenty. 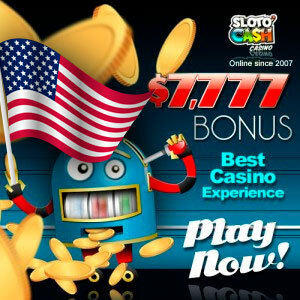 As with all slots, playing all lines provides the greatest winning possibilities. Wagering ranges from a low of just a penny per line to a maximum per line wager of a dollar. As there is only one coin played per spin, the maximum wager amount for the game is $20.00. With the World War ll theme to the game, the symbols on the reels are very much in keeping. Players will find bullets, guns, knives, jet planes and other types of weapons used in that time period. The symbols are realists and drawn with great detail. You will also see some of the iconic characters from the movie, which adds a nice variety on the reels. When playing Fantasy Mission Force SlotoCash slots, players will want to watch for the scatter symbol, which is bundled dynamite. The cash symbol, the bag of money, will also be important to look for on the reels as it is the wild. To trigger the various free spin option, players will need to see the Dynamite scatter on reel 1 and the wild bag of cash on reel 5. This will allow players to enter the free game feature, which will provide 7 free games. During these games, all winnings are tripled and there is are additional multipliers when you see the wild or the scatter during the free games. When there is a fuse on any symbol in a free spin, it can explode, giving the player the Kaboom feature. When you see three or more you will earn 3 extra spins per fuse. 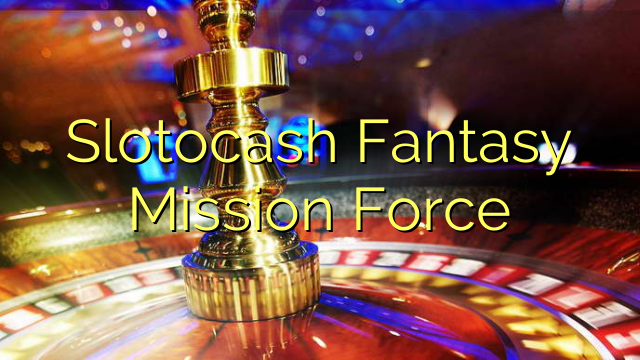 With a progressive jackpot, Fantasy Mission Force SlotoCash slots has a lot to offer players. If you love the movie or just like great slots, this is a game you will want to play.